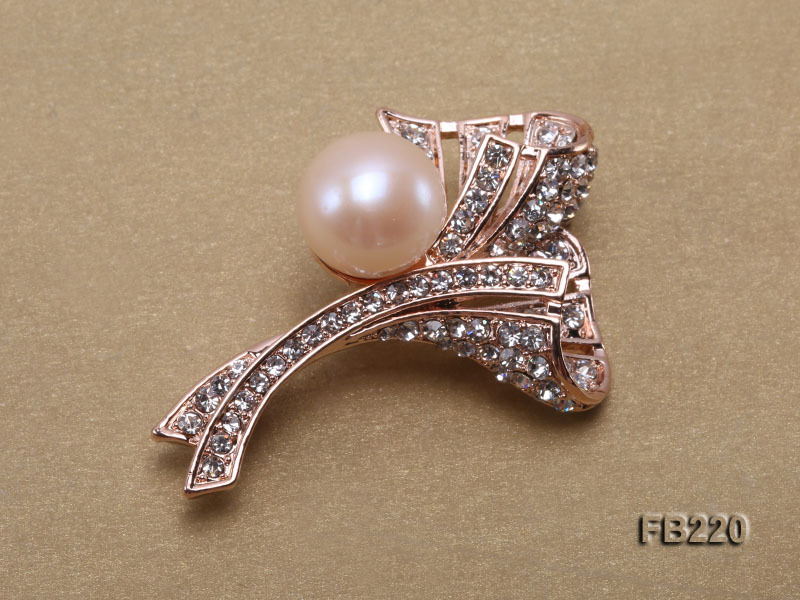 Charming 13mm pink near round freshwater pearl brooch for sale. 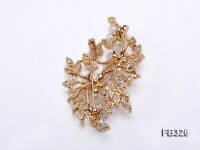 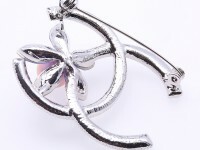 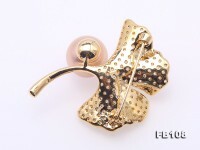 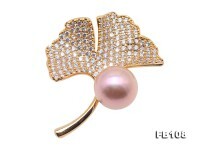 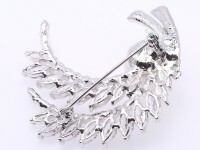 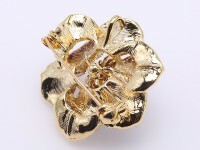 The brooch itself is crafted with rose-golden alloy and in lovely leaf style. 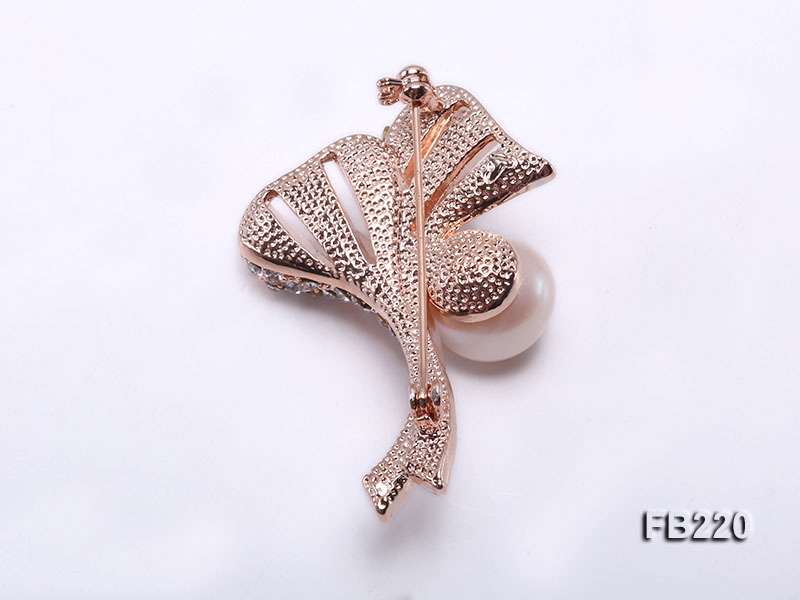 A piece of lustrous freshwater pearl is safely set on the alloy leaf, revealing every touch of smartness and independence of modern ladies in daily work and life. 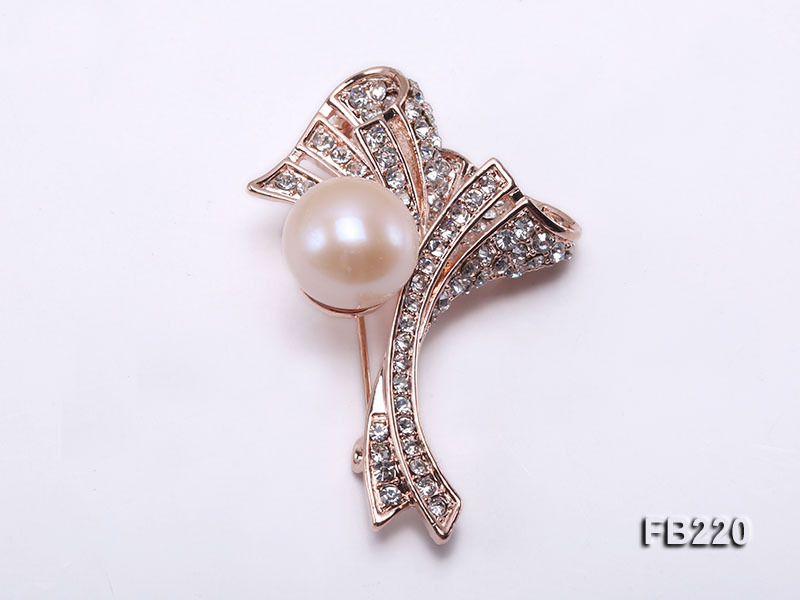 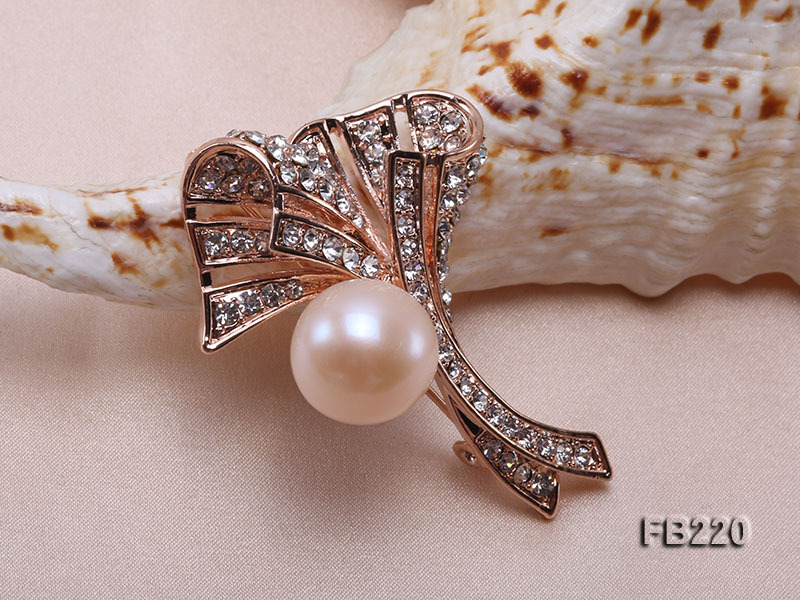 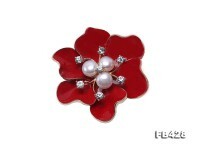 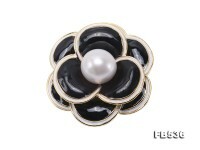 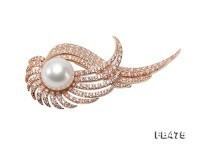 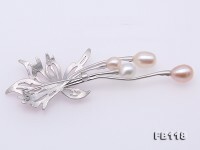 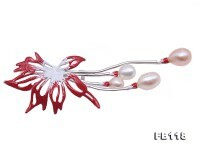 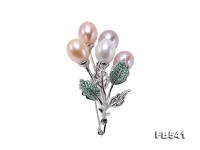 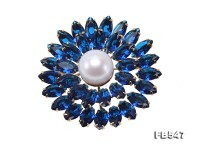 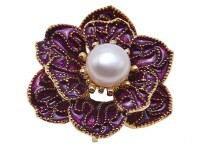 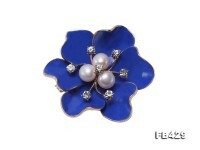 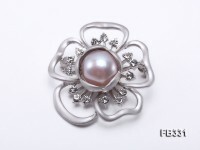 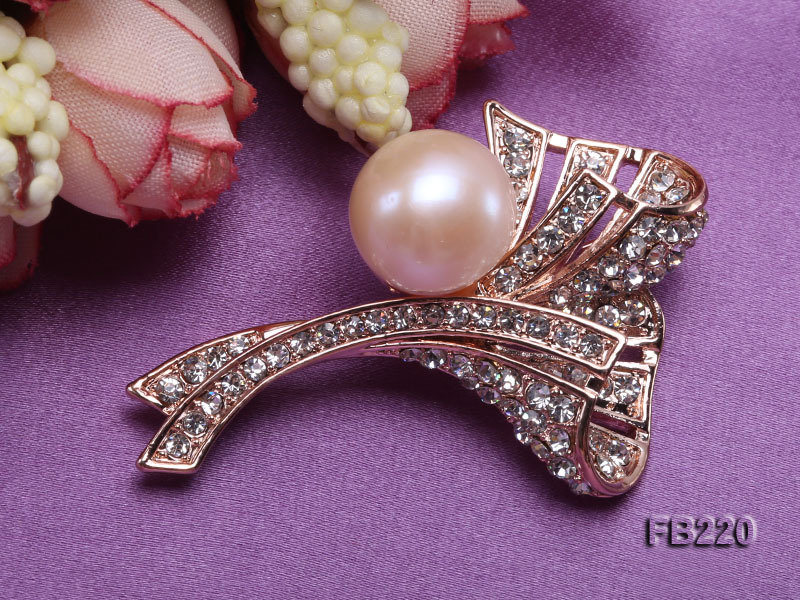 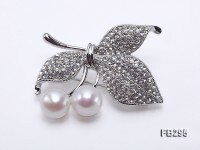 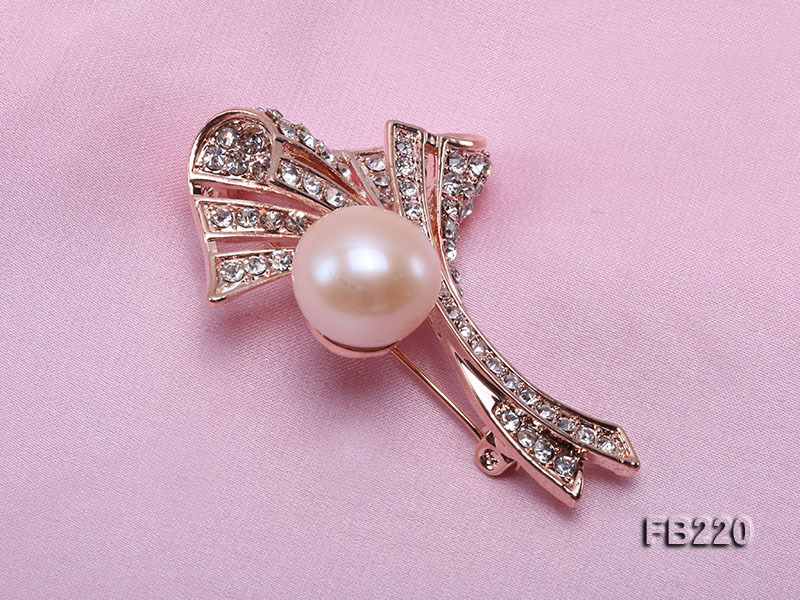 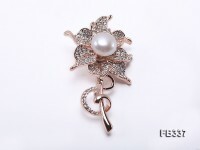 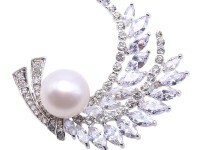 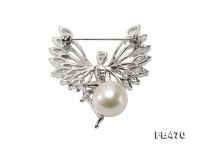 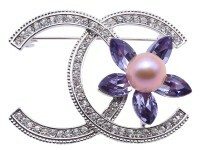 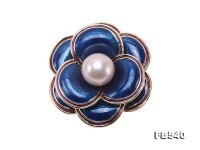 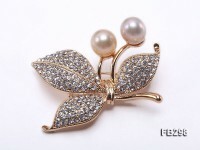 The pearl brooch can be a perfect match with various kinds of coats and dresses.